Maureen has been practicing in the area of real estate law for more than thirty (30) years, during all of which she has maintained a primary emphasis on representing mobilehome park owners and management in the defense of failure to maintain claims, Fair Housing claims, enforcement of rules and regulations, drafting of residency documents, unlawful detainers, and general assistance with miscellaneous day-to-day matters that arise in the operation of mobilehome parks. She practices civil litigation in state and federal court. She has handled numerous trials, arbitrations, mediations and appeals, as well as substantial law and motion proceedings. 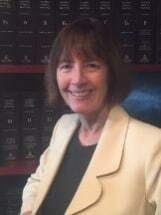 Maureen has also handled a wide variety of litigation matters including employment law, contractual disputes, civil rights, worker's compensation defense, and some personal injury matters, including a multimillion dollar personal injury claim involving ADA issues. Maureen grew up in Wisconsin and attended the University of Wisconsin -- Madison, for most of her undergraduate studies, from 1969 to 1973, majoring in Russian language, literature and history, and completed her undergraduate degree at Western State University, Bachelor Science Law, in 1983 after moving to California. She earned her juris doctorate degree in 1984, passing the California State Bar exam that year. She had extensive experience in litigation and appeals, while a law clerk, during law school, including drafting the brief and appearing at the U.S. Supreme Court in Fidelity Federal S & L Assn. v. De La Cuesta, 458 U.S. 141 (1982).